Kasey Kahne has hinted that his absence from the NASCAR Cup Series could be longer than just this weekend's Indianapolis race because his heat-exhaustion problem is long term. Kahne has been replaced at Leavine Family Racing by Regan Smith this weekend. He said he has been dealing with heat exhaustion issues at the end of the NASCAR races since 2017 but last weekend's race at Darlington "was the worst that it's been." Kahne was sick several times on the way to and in the Darlington medical centre, and ended up receiving IV fluids in both arms. 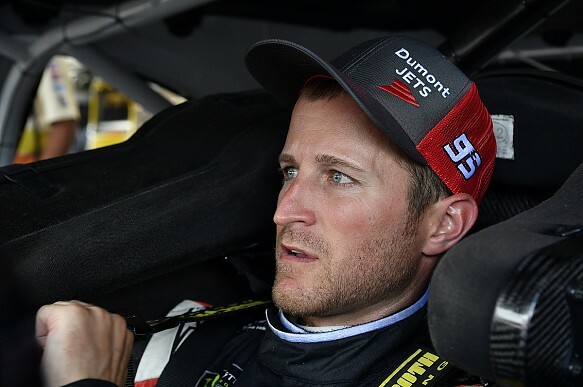 "I was sick the whole drive home and it's just been a rough week," said Kahne, who won at Indianapolis last year in his final season with Hendrick. "I would much rather be at Indy but at this point I need to figure out how to finish these races. "I have to figure it out before I get in again and do it. "Last week with 100 to go, I definitely shouldn't have been in the race car anymore and I stayed out there and put my body through it and it was really difficult. "It's just better off for me to stay home and figure out how to help the situation before I get back in the car." 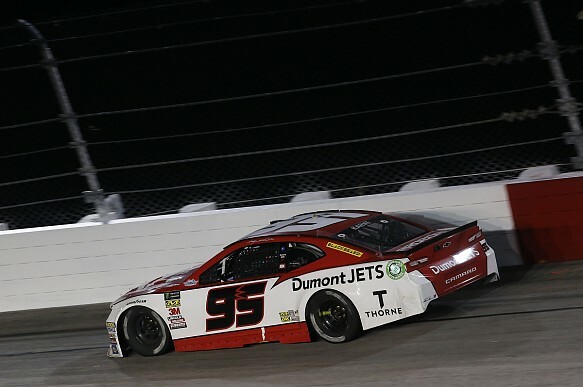 Kahne finished the Darlington race three laps down in 24th. "About halfway through the race, I got to a point where I couldn't drink anymore and once you're at that point you've already lost more fluids than what you are able to put in," he explained. "With about 100 [laps] to go, it was really hard to keep my eyes open. "I was struggling to do that and I was trying to control my heart rate because it was so high. "I just kind of laid in the car and drove around the corners and tried to do as little as possible to get my heart rate to go down. "At that point, I was focusing more on my body and my health and not on what I actually should be focused on, and that's racing." The 38-year-old has undergone several medical tests this week as doctors try to find a cause for this persistent problem which has steadily grown worse. He admitted that the issue played a role in his decision to step away from full-time NASCAR racing at the conclusion of the 2018 season. Kahne said he had not found anyone with the same problem he is experiencing, particularly one that progressively gets worse. "Drivers certainly have issues with hydration but for me it's every week and I don't hear anybody else like that," he said. "I learned a lot at Hendrick Motorsports about things to help me hydrate and prepare for races but they don't seem to help me as they help others."